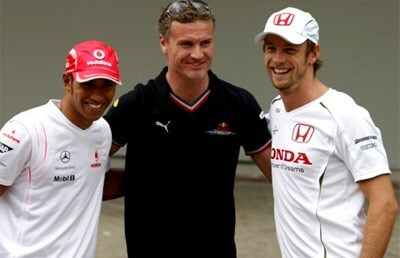 The former Honda F1 team including Jensen Button will be on the grid for the Australian Grand Prix at the end of March. Just in the nick of time, the Honda F1 team placed on the market at the end of last season has been saved by a management buyout led by Ross Brawn. The team now seems certain to be on the grid for the season-opening Australian Grand Prix next month, Jenson Button to drive one of the two cars. British newspaper The Times, usually a good source of accurate motor sporting news, today declared the Brackley UK team to be saved and that Button will spearhead the team on the track after two months of intense work on a rescue package by senior managers. The Times' story indicates the team will conduct a "shakedown" test of its new car (work continued despite the cloud hanging over the workforce) at Silverstone next Thursday. This will be Button's first outing in the new car. The management buyout will be funded, according to The Times, by money from Honda itself for this year, as well as funds from the always munificent Bernie Ecclestone, the Formula One commercial rights-holder, plus unknown commercial sponsorship. It's thought that this won't include Virgin, a company linked to a possible purchase of the team. The team formerly known as HondaF1 will now operate directly under Brawn's control, with a chassis designed by Honda and powered, says theTimes story, by a Mercedes-Benz engine under a supply deal with McLaren Mercedes. Right through the painful period of the team being on the market, Mercedes-Benz has been very patient, repeating its original offer to supply engines. After the shakedown at Silverstone next week, the reborn team's first serious test is expected to be at Catalunya, Spain, on March 9. This will be the last official outing before the first opening grand prix of the season on March 29. Button has been confirmed as one driver, but the second one seems to be between Brazilians Rubens Barrichello, who has been with Honda for the past three seasons, or rookie Bruno Senna, nephew of Ayrton Senna.